Know more about this special bicycle, which is a product of social entrepreneurship. Gifted to heads of state, bought by royalty, and ridden by a Bond girl no less, bicycles made from locally sourced bamboo are touted as the greenest mode of transport to date. 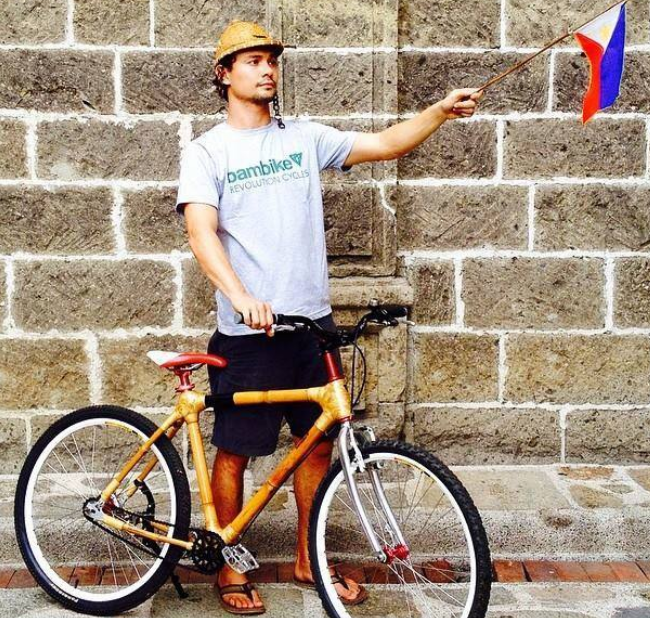 Socio-ecological ’trep Bryan McClelland founded the Bambike enterprise, which produces several bicycle types—street bike, beach cruiser, racer, all-terrain bike, or custom-built—using bamboo joined with abaca and aircraft-grade aluminum. The Bambike is handmade by members of the Gawad Kalinga community in Victoria, Tarlac. Any of the seven full-time craftsmen can build a bicycle in just a week or two. Bamboo discards are used to make bowties. Buyers are “young, educated, professionals,” who belong to the upper middle-class, care about style and the environment, and use the Bambike on their daily commute or during weekend rides. McClelland says that in bicycle building, bamboo has its “advantages with regards to performance, the environment, and aesthetics.” Bamboo has vibration-dampening characteristics that allow a smooth ride. It is also more sustainable than steel and can last a lifetime. Single-speed bike frames cost P20,000, whereas all-terrain bike frames cost P25,000. The basic package for the all-terrain bike starts at P55,000. “Now we’re essentially a luxury product; we can’t hit the masses… I’m looking to work with engineered bamboo producers, create a new type of Bambike that is still very environmentally responsible but can be done on a larger scale,” he says. This article was originally published in the August 2013 issue of Entrepreneur magazine and was recently updated by the online editor. Subscribe to the print or digital version here.